The ever active Principal Sr. Winifred along with the Tarumitra Co-ordinator Mrs. Sudeshna Pradhan encouraged the students to go out of their secure campus. This time they rallied along to the Government run Sub-divisional Hospital to see for themselves the state of affairs. D.K Pradhan, the Director of the hospital met the students and answered their queries. They asked him to dispose of the hazardous medical waste properly. 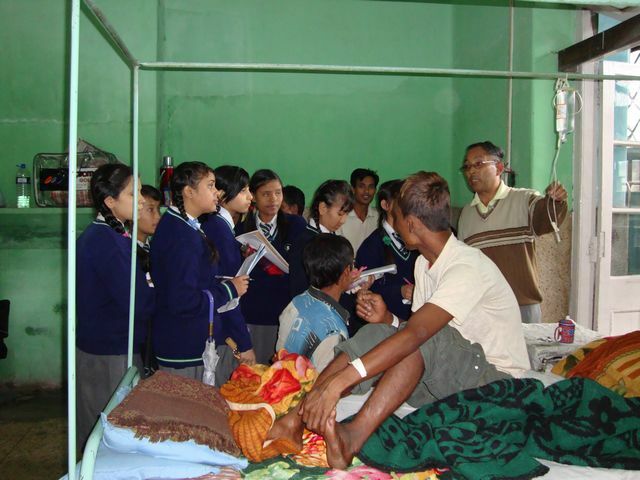 The students also moved around the wards and requested the patients and their visitors not to throw garbage here and there. The students also trudged to the local market and met with many shopkeepers and pleaded with them not to sell items in plastics. They made a survey of the garbage heaps in the market. When the students accosted some large shops they told the girls to back off! 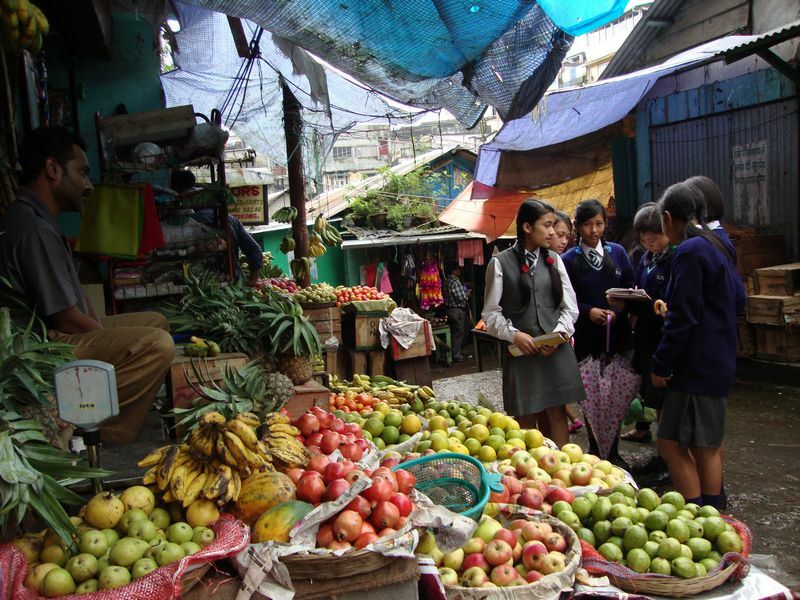 The students were on the contrary were impressed by many people whom they met in the market. A number of them stopped to talk to them and encourage the girls. 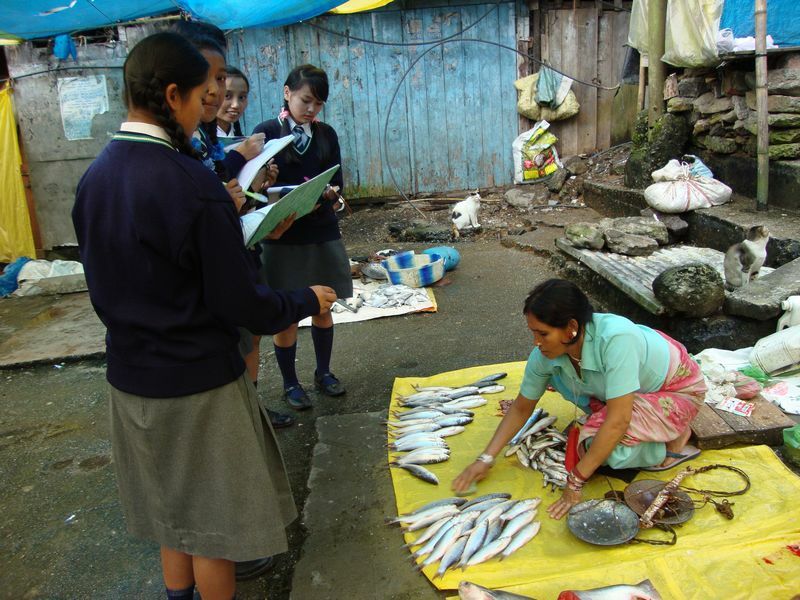 Fish markets were another story for students! Sudeshna Pradhan said that the Tarumitra students have pledged to keep up the campaign in the coming days. i think,dose students hav done pretty well by awakenin the mass….bt nao its our turn 2 work 2getha n make the missin successful. the students hav done their task of awakenin the mass nao its our turn 2 work 2getha…….bt practically speakin there shud b som alternative 4 plastic cz ppl cant move around wdh all their stuffs…ryt…? The students enjoyed decorating thier grocery bags and were enthusiastic about writing positive messages about caring about our planet Earth. The students had the chance to promote their bags at the Carrefour hypermarket and also they talked with the shoppers and helped the salespeople by using their recycled bags instead of plastic bags! It is great student action for their Local area!!! Your students look so great! Keep doing this, and hope this will reach out to all the people in the hills!